These “Agency Leaders” have many things in common, especially their vested interest in the success of Drupal. Axelerant was pleased to help bring them together with Piyush in London at The Modern Pantry, with two excellent co-hosts. Piyush Poddar, Axelerant’s Director of Partnerships and host of global agency leaders events in Australia, New Zealand and England. Follow him @piyushpoddar. 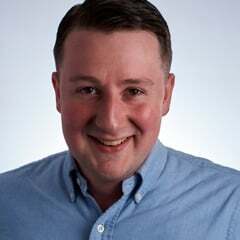 Jim Bowes, the Founder and CEO of Manifesto who recently partnered with Tim Deeson of Deeson Agency in an acclaimed merger. Follow him @jimbowes. Michel Van Velde, CEO at One Shoe and creator of the Drupal CEO and State of Drupal Business network with Exove CEO, Janne Kalliola. Follow him @michelvanvelde. We set a table for C-level conversations. As we've said before our dinner event in New Zealand, the large and in charge developer community of Drupal builds off of shared knowledge and ideas, gathers to mingle, debate, and to grow stronger. Maybe some of the business challenges in Drupal, for example, have been due to the C-suite sitting out when they should’ve been leaning in. If you set a table to discuss things openly and at a high-level, people come. And the tables filled. With about 40 seats open and about 40 seats taken, we packed the house. We had leaders from digital agencies across more than a dozen countries, including: England, the Netherlands, India, Slovenia, Poland, Estonia, Spain, Germany, Ireland, and many others. There are all sorts of reasons for doing this. It’s a lot of fun and it's worth the effort to see the people you're bringing together actually engage, learn, and grow from an evening of fellowship. Lots of wine flowing in a room of entrepreneurial leaders can be hilarious—conversations get both intense and interesting fast. Agencies involved in the Drupal space have so much to gain from one another. We’re an agency for agencies and real believers in collaboration across them, even with our competitors. We make it a point to allow everyone. And we've found that bringing agency leaders together who see each other as just competitors, change can happen. After introductions and a briefing of the event’s Chatham House Rule, conversations erupted. Truth be told, the room was pretty small so it got pretty hectic, pretty fast. I remember turning to Paul Johnson from CTI, and saying loudly: “We should’ve booked a bigger room!” He said that it was “intimate” and “friendly.” True, I think. It was like we were there together with old friends and new, which you might not expect. Exchanges floating around the room included other exciting Drupal community events, like DrupalCon Seattle. Others included challenges with international and domestic hiring and chatter about Drupal marketing challenges and community-sourced solutions. Agency leaders, CEOs, CXOs in Europe are different. There's an element of heightened maturity and even respect that's difficult to describe here. Internationally, the Drupal space can be considered both small and large depending on the measure. In Europe, it's small... if you go by the number of agencies here offering Drupal services. But don't let this fool you into making assumptions about the state of Drupal business here. Here's an example. You might expect agencies operating in a small country like The Netherlands (where scarcity of talent and business is assumed) would be hyper aggressive or even cut-throat, competitively speaking. And while healthy competition is a reality there, a viewpoint that there's plenty for all pervades. The Dutch Drupal Association has been pooling money from different agencies for a while now, to handle Drupal marketing that "grows the pie for all." And the Splash Awards were collaboratively organized there for all to participate—by agencies, for agencies. Here's another one. When it comes to Brexit, you'd think agencies in Britain are seriously concerned about talent and business acquisition from the mainland. Drupal development here is often supported by near and offshore partners in a hybrid model. Though if you speak with them, this approach is unlikely to change. And come hell or high-water, they'll make it just fine. As a matter of fact: they're growing, not shrinking. Another trend: more UK-based agencies are hiring outside of their country directly. I'm sure everybody learned a thing or two and we hope you took away some value, besides the culinary experience (and the food was killer good). If you take nothing else away, take this: you have a community of business-minded men and women in the Drupal space to turn to for support—don't just see them as mere competitors. See them as peers. Piyush and I had a great time and we heard the same from our co-hosts and attendees. We're looking forward to next year—and we'll be sure get a bigger room, with even longer tables. Thank you to our hosts. Thank you to all those who joined us! Are you going to be at DrupalCon Seattle? 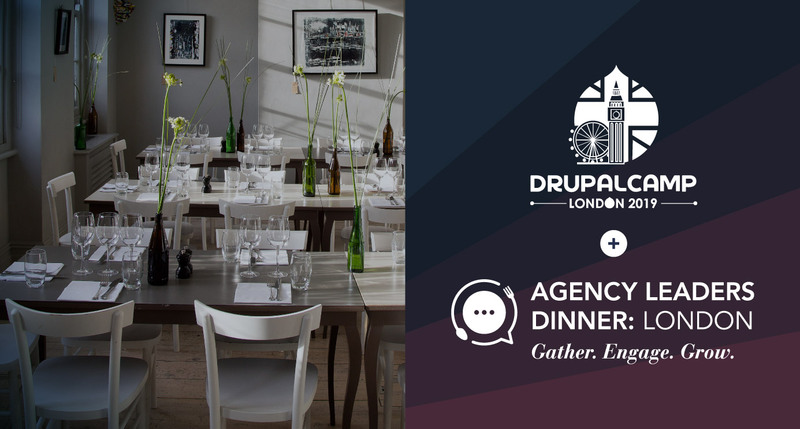 Join Michael Cannon, our Customer Success Officer at our Agency Leaders Dinner there.